Some rooms were "pre-created" by Bitverse with the intent of reserving them for qualified users who have experience running large communities (forums, message boards, subreddits, websites, etc.) which have a focus on the content of the room. To apply to take ownership of a pre-created room, please submit the following form. If the application is accepted, you will be notified by email and asked for verification. Verification may require a photo snapped with a specific code phrase and posted to a public section of the forum in which you are an administrator or moderator. Once acceptance and verification are complete, Bitverse admins will grant you ownership of the room. In addition, you will be listed as the Founder of the room and allowed to manage the room’s properties as if you were the original creator, including room settings, moderators, experts, ban lists, etc. You must be logged in to view this form. Please log in. 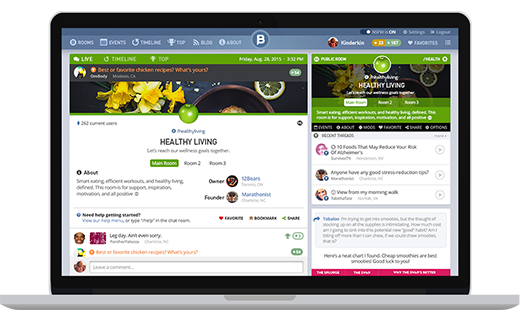 Bitverse is a live community and conversation platform designed for sharing information, ideas and interests. Bitverse entered public beta on September 13, 2015. If you have any questions about Bitverse or would like to report a bug, please get in touch with us via our general contact or bug submission forms.